One of the most interesting parts of the Slenderman enigma is that some have connected him to various stories and creatures throughout world mythology. One only needs to do a quick search and they would find a multitude of information on mythological creatures that Slenderman is similar to. I am including two stories, both from the late 1800s, of creatures which seem like relatives of the Slenderman. Both are courteously provided through Albert Rosales’ extensive database, he can be found here. Tom Cassidy, Louis Certain, Tom Morany and William Budd, four incredulous citizens concluded to ferret out the mystery and bravely face the foe. Friday night, after coming from their work on the railroad, they visited the haunted spot, determined to shoot the rascal who would penetrate such a humbug on the community. Tom Cassidy described their meeting with the ghost thus: “We were walking along the road, not thinking of the thing just then, when a tall, thin form, too large to be a man, stood in front of us. It was dressed in woman’s clothes and its face was craped. It wore something on its legs that looked like gum boots and its tall form swayed to and fro, like the boughs of trees when the wind blows through them, and made a similar noise. Louis Certain yelled out, “My God what is that ghost?” Then Bill Budd drew a revolver, and he ran a square following it. He could not get nearer than ten yards to it, and when he thought he was gaining on it, it suddenly disappeared in the woods. The strangest part of the affair was that the ghost ran along the sandy road and when we afterward examined the road not a track or trace of one could be found.” William Budd said, “I am a very fast runner, but I couldn’t keep up to that thing. I don’t believe it is human, for it does not run like a man. I wanted to fire at it when it ran away from me, but the other fellows told me not to shoot, and then when I was going to draw the infernal thing disappeared. I never did believe in ghosts but that is one.” One man said: “John Dargan’s horse saw it on the road, near Gillingham’s house, on Thursday night, and frightened at it. People say they cannot get a horse in Gilligham’s stable on account of it. Their house is empty and some think it stays there.” Isaac said he saw it come out of Gillingham’s yard and it looked like a man seven feet tall. He passed it and it disappeared, but he was certain it was not a human being.The ghost has been seen at various times by different people along the track, and all bear testimony to its great size, its somber appearance and the whizzing noise it makes as it sails along. Large crowds have congregated to see the mystery, but it generally appears when only three or four are present. Some of the citizens say that just two years ago a similar apparition clothed in white was seen at the same place. It manifested itself to a great many in the community and some think it but a reappearance of the old ghost, clothed in black. The witness lived in a house close to an old church in Fredrikstad and worked in western Fredrikstad and would return home in the evening; it was often quite late before returning home, as it was a long way to walk. Then one evening a few days after midsummer, he was sitting together with his wife next to the window eating a meal when they suddenly saw several completely black human-looking creatures standing outside the church gate, on the road that went past the church wall. He thought these figures were strange-looking and his wife thought the same, but thought no further on the matter at the time, as the road was usually well travelled by both driving and walking people. But their attention was attracted by these creature’s strange movements and appearance. They were all of equal height and very thin, a long smock hid their feet. They had small heads without any head-dress or gear and their arms were held straight forward on all of them which made it look like they had only one arm. They seemed to play and dance with each other, going back and forth, ‘compared to the movements of the northern lights on a winter’s light’. Stunned he asked his wife what kind of strange people were these, but she didn’t answer she just stared. Suddenly and in an instant they all disappeared at the same time appearing to walk directly into the church wall, the witness estimated that there must have been 10 to 12 figures. A few moments’ later three more appeared again on the road, making the same movements as the first ones, and disappeared on the same spot on the wall, and they never saw them again. It had been rather light outside and it happened relatively close to the witnesses so they were convinced that it had not been a trick of the light or confusion. The incident lasted about 10 minutes. So what do you think? Tell me in the comments! Fairies. The word seems to conjure up images of little winged females, often dressed in leaves. This image was popularized by Shakespeare, the 16th century poet and playwright. Fairies, in their folkloristic image, are much more interesting. The world of fairies is surprisingly complex and difficult to comprehend, but, in general terms, fairies are nature spirits. The term fairy comes from the Latin word, fata, meaning fate. There are many different names and different spellings for fairies as well; fay, fey, fae, sidhe (pronounced shee), and elf. Fairies are sometimes claimed that they are only a European phenomenon, but actually, they are worldwide. The best known fairies are mostly from Ireland and Scotland, which gave rise to that misconception. The Celts believed that fairies were nature spirits which were connected to a specific place or element of the world, (such as earth, forests, fire). 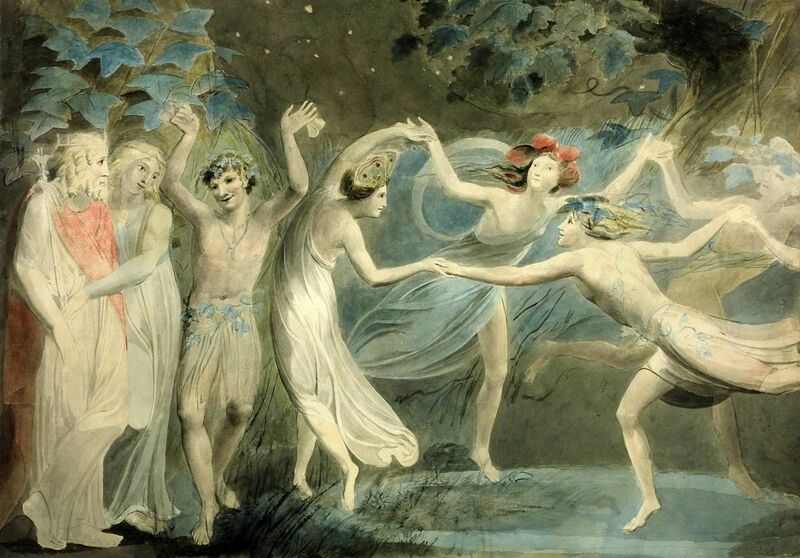 Like many folkloric beliefs, fairies were Christianized in the Middle Ages. During this time, they went from mischievous nature spirits to being fallen angels cast down from heaven. It is thought that many superstitions were born from stories of pranks fairies had played on unsuspecting humans. Fairies were, and still are, used by various pagan beliefs to perform magic and carry rituals. There are many types of fairies from all around the world. Leprechauns are probably the best known, they are small shoemakers who are often suspected of having gold hidden. Pixies are tiny female creatures with butterfly wings, the common image of the fairy. Goblins and hobgoblins are known as dark fairies, meaning they operate at night, they are ugly, cruel and stupid creatures. There are some who theorize that fairies may be connected with modern day encounters with UFOs and “extraterrestrials”. The idea was first born in the book Passage to Magonia by Jacques Vallee, a well known ufologist and computer scientist. There are three common arguments for their connection. First, descriptions of fairies and aliens are very similar in behavior and appearance. Second, lights in the sky in ancient times meant fairies were abound, while lights in the sky now mean UFOs are abound. Third, and finally, both fairies and aliens “abduct” humans in order to study them, and those who are abducted seem to “lose time” (they had a quicker perception of time than what actually transpired). On September 19th & 20th, I attended the 14th annual Mothman Festival in Point Pleasant, West Virginia. In this post, I was planning on going over some of the events and what the festival is. The Mothman Festival was started 14 years ago by Jeff Wamsley, the curator of the Mothman Museum in Point Pleasant. The idea of the festival is to celebrate the creature known as the Mothman, which is a superstar within cryptozoology. Mothman was giant, dark, birdlike creature, about seven feet tall, and had huge, glowing red eyes. It was sighted in Point Pleasant from November of 1966 to December 1967. It is probably best known through the Richard Gere movie, Mothman Prophecies, based on the John Keel book by the same name. The 14th Mothman Festival was a very worthwhile trip. The festival appears to be a mix of your average town festival with games, vendors, attractions, etcetera, and a paranormal conference. There were a variety of recognizable faces and names around and about the festival, such as Rosemary Ellen Guiley, Stan Gordon, Joedy Cook, Ken Gerhard, and Lyle Blackburn. There was also a large number of lectures being given by some of the authors and researchers. The topics of the lectures varies wildly, from Mothman comic-books to the afterlife to lizard-men to, of course, the Mothman. 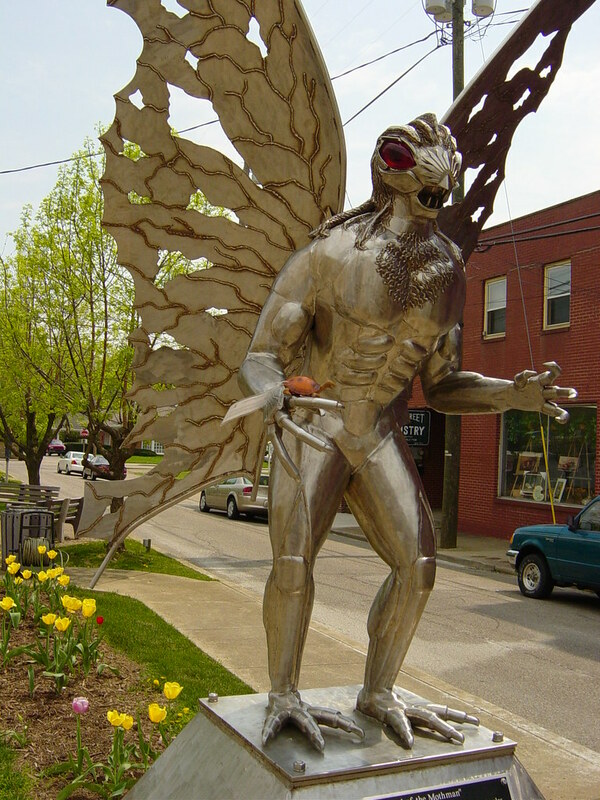 The Festival was not the only attraction of interest in Point Pleasant, there was also an Ohio River Museum, the Mothman Museum, monuments for the Battle of Point Pleasant and the Silver Bridge, and a statue of the Mothman. The festival has something for everyone–the paranormal, books, food, games, and even the Stay-Puff Marshmallow Man from Ghostbusters. I had a good time and am definitely going back next year. 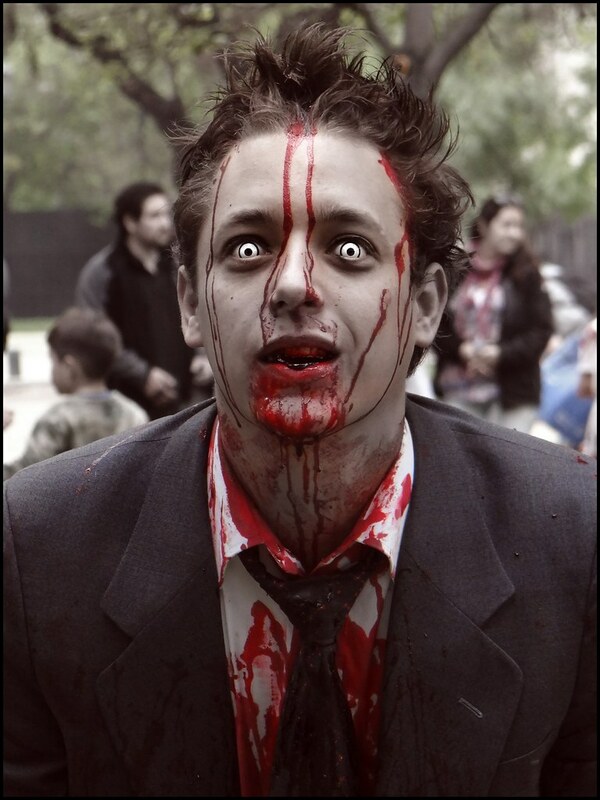 Pop culture seems to be endlessly fascinated with the “big three” of horror, werewolves, vampires, and zombies. I am doing a three-post series which will go over the occult roots of each and the modern day encounters with the various creatures of darkness. My second post will be on vampires. Often the word vampire conjures images of pale, aristocratic men, with bright red lips, slick black hair and shiny white teeth with two long fangs. In modern pop culture, vampires have lately been portrayed as tortured anti-heroes that secretly want to be loved. In mythology and folklore, true vampires are spirits or demons that inhabit the bodies of the dead and use them to consume blood of the living, and they don’t want to be loved. Vampires originate from Europe but there are blood-craving creatures in nearly every culture on Earth. Contrary to popular belief, vampires did not live in giant castles above a town of people terrified being attacked, vampires actually remained in the graves of the deceased and rose at night to shamble around and attack weary travelers. Vampires do not have a weakness to Christian religious symbols or holy water, these ideas were created by the Catholic church to strengthen belief in the church and make it appear that they could protect you from anything. Garlic is also useless against vampires, this idea was created through the idea that certain demons could be repelled using garlic. Vampires actually resembled modern ideas of zombies more than what we think of when we imagine a vampire, shambling, lifeless, unintelligent creatures whose only purpose is to consume blood. Vampires are, as commonly thought, killed by a stake to the heart or by burning the body. It is disputed whether or not sunlight actually kills them or not. The modern image is obviously derived from the Count Dracula from Bram Stoker’s classic novel Dracula. The ideas of the various vampiric powers, super strength, flight, super speed, shapeshifting into animals, super hearing, etc. all come from the book. Although the common image of vampires comes from Dracula, there have been changes as time goes on. The most glaring example of this is the vampires from the book and movie series Twilight, they appear to sparkle when in sunlight. Probably the most interesting aspect of modern vampires is the vampire subculture. There are groups, primarily around the United States but in other countries as well, where people identify with the idea of the vampire. They dress as vampires, some of them drink blood because they believe that it is vital to their well being, and some even perform rituals that they claim make them immortal. The media has wildly misrepresented the people who are involved, they do not take blood from others unless the person specifically donates it to them. They do not, for the most part, truly believe they are vampires. Other than those who drink blood, some involved are what are termed as psychic vampires. Psychic vampires apparently drain the life energies from other people, many unknowingly. Psychic vampires seem to take up the majority of the subculture. Pop culture seems to be endlessly fascinated with the “big three” of horror, werewolves, vampires, and zombies. I am starting a three-post series which will go over the occult roots of each and the modern day encounters with the various creatures of darkness. I’m starting with werewolves. Werewolves, the man-wolf creatures of the night, said to terrorize townspeople and consume children and sheep. Werewolves are considered to be a strictly European notion, but most cultures around the world have some concept of people transforming into animals, in the Southern United States it’s the skinwalkers, in Japan, the kitsune, and in Mesoamerica, the nagual. Stories of these shapeshifting creatures are abundant, and many continue today. The official term for shapeshifting into a wolf is lycanthropy. Many attribute legend of werewolves to people who had the mental disorder known as Clinical Lycanthropy, a form of psychosis in which one believes themselves to be a wolf or half-wolf. Probably the best known tale of a werewolf are the stories of the Beast of Gevaudan. Gevaudan was the name for a mountainous region in the southern part of 18th century France. The Beast showed up in June of 1764 and terrorized the small town for three years. It killed women, children, livestock–anything it could. Eventually, nearly all of France had heard of the beast, and the king sent soldiers down to kill the creature. The soldiers succeeded in killing the beast and tried to bring it back to the king but because of decay and stench they buried it in an unknown location. Many speculate that the creature was just a hyena or an oversized wolf, but there are some who still call it a werewolf. There is an abundance of modern werewolf sightings, not just in Europe, but in America as well. Researcher Linda S. Godfrey is the recognized expert on modern werewolf sightings and has a nearly complete list of modern American encounters. She has noticed, like many cryptids, there seems to be a correlation between sighting locations and the locations of both sacred sites and military bases. Godfrey speculated that this could be because the man-wolves are protection spirits from Native American mythology. Godfrey prefers to call these creatures Dogmen or Upright-Candids, because some encounters seem to attribute a more dog-like appearance to the creatures than wolf-like. Many researchers also feel that the Dogmen are most supernatural than natural, due to the nature of many encounters. Nearly everyone agrees, though, that werewolves aren’t truly men transforming into wolves. Throughout the world there are beliefs pertaining to the power of thought, the most abundant idea is the possibility of ‘thought-forms’. Thought-forms are a popular idea between many occult researchers and scholars. The idea behind a thought-form is simple, they are exactly as they sound, a kind of creature, force, or object brought into existence purely through the power of one’s mind. There are numerous accounts of encounters with the paranormal and phenomena that could potentially be explained through the unconscious thought-forms. Some examples of this are poltergeists, some cryptids, ghosts, and UFOs/extraterrestrials. Thought-forms are generally said to be created through extreme concentration and focus on whatever it is said person or persons want to be brought into existence, often times, according to legend, the creation ends disastrously for all those involved. Unconscious thought-form creation is slightly more complicated, though never mentioned in any belief system or myth, some theorize if enough people believe in the existence of the same thing, eventually it will come into existence, for example, after the first Bigfoot prints were popularized, the idea of a large ape-like creature exploded, even after the prints were admitted to be fakes sightings of Bigfoot persist, because of this, some think that the immense belief in the creature literally brought it into existence. The best known example of thought-forms in myth, and where most modern ideas within the subject of thought-forms originate from, comes from the ideology of the Tibetan monks. The monks believe that if you meditate and fast in a specific way, you can potentially bring to existence, a tulpa. Tulpas are specialized thought-forms, they seem to require specific rituals to bring forth, but afterwords, they follow their creator’s commands. Tulpas also begin as invisible to all other than their creator, but as they gain strength, they are able to be seen by others. There are also accounts of tulpas becoming strong enough to develop their own will and break free from the commands of their creator. There are many issues with the existence or possibility of thought-forms, but many occultists claim that somehow, thought-forms are able to break the laws of physics to come into existence. The Encyclopedia of Ghost and Spirits by Rosemary Ellen Guiley. “If you fear one thing in life, fear the djinn.” This is the message on the back cover of Rosemary Ellen Guiley’s groundbreaking book, The Vengeful Djinn, coauthored by Philip J. Imbrogno. In the book the authors explain the basics within the world of the djinn and what they could be doing in the world of today. So what are the djinn? And why are they so alarming to many occult scholars and researchers? According to Islamic legend, the djinn are a race of interdimensional beings, born of a smokeless fire, who have nearly endless amounts of power. It is said that the djinn have the ability to shapeshift into any form, can fly and teleport, are able to become invisible, have super speed and strength, can influence thoughts and dreams, and are able to possess people. They almost sound like super villains. It is said that while the djinn aren’t evil they are certainly tricksters, and their tricks may not be the most pleasant. The djinn were said to be the original inhabitants of the Earth, but eventually they enraged Allah, for when he created man, Iblis, the leader of the djinn, protested Allah’s commandment to bow before Adam, the first man. This story has been repeated as the Christian story of the fall of Lucifer, it is considered by many scholars that Lucifer and Iblis were the same being. Allah, enraged over the disobedience, condemned Iblis and his djinn to another dimension. Many occult scholars are alarmed by the djinn for two reasons, because the djinn are obviously more powerful than humans and they want their world back, and second because they can be used to explain virtually any unusual happening. Guiley drew significant parallels between the djinn and fairies, extraterrestrials, UFOs, ultraterrestrials, cryptids, shadow people, ghosts, and even poltergeists. So what do you think? Are the djinn as scary as some think? Or is this all just superstition and needless fear? Tell me in the comments. There are reports of people encountering kids, at night, who seem to have pitch black eyes that seem to stare into your soul. Black eyed kids (BEKs) look like normal teenagers except for the startling fact that their eyes appear completely black. BEKs are commonly encountered in groups of two to five, rarely more or less. Witnesses report the kids look normal enough until they notice their eyes. As with many entities seeing a BEK is accompanied with an overwhelming feeling of terror that doesn’t seem explainable. Most people encounter the children at night, normally outside the witness’ home or car, always asking permission to enter the house or car. Normally they ask some sort of question such as, “Can we come inside? We need to use your telephone,” or “Can you drive us home? We don’t live far,” The witness then notices their black eyes and refuses them access. When the kids are told no they begin to become violent, often screaming and pounding on the door, demanding to be let in. Although the BEK phenomena is fairly recent, it has its roots in ancient occult ideas, namely the vampire. In ancient Europe, vampires were thought to be demons who possessed a corpse to use as a form of vehicle to do its evil deeds, there was only one problem, they needed to be given permission to enter one’s “domain”. Someone’s domain is any structure one feels safe in, such as a house or car. Even in the oldest lore domains are thought to be protected. Many researchers believe that BEKs could be a modernization to ancient vampire legends. Nobody’s really sure as to what happens if you allow the kids to enter because there has been no reports of it happening but Brad Steiger, a psychic phenomena expert, theorized that it could lead to poltergeist phenomena (unexplained movement of objects, unexplained sounds, smells, etc.) which then leads to the possession of the weakest in the house. Steiger based this on a similar report where a child had allowed an unseen entity access to his home. No matter what the black eyed kids are, they’re here and are causing panic across the world.